US soldiers From the 7th Infantry Division position a 37mm M3 anti-tank gun (two M4 Sherman’s in the background on point). This photo was taken on Kwajalein on February 2nd, 1944. The bloody conquest of Tarawa in the Gilbert Islands (posted previously in this series) in November 1943 was a crucial and bloody learning curve for the US forces. The 5,000-plus Japanese troops on Tarawa mounted a ferocious resistance, killing more than 1,000 U.S. Marines and wounding another 2,100. Nearly all Japanese troops were killed in an example of their ‘never-surrender’ attitude. 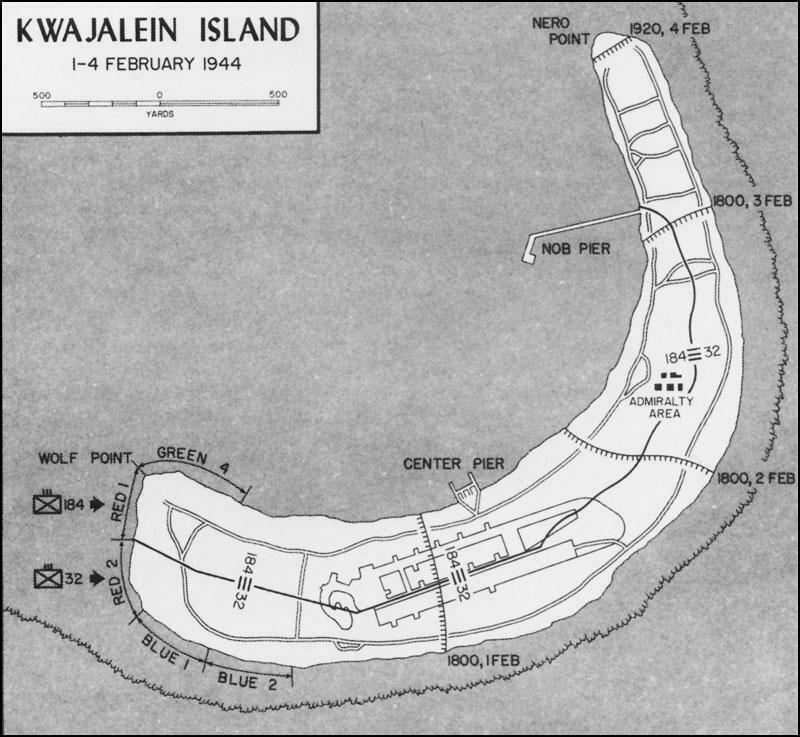 The plan at Kwajalein was total warfare, pulverise and pound the islands and destroy the air capacity of the Japanese. The Official U.S. Army history of the battle quotes a soldier as saying, “the entire island looked as if it had been picked up 20,000 feet and then dropped.” Landing beaches Red 1 and 2 were assaulted morning on 1st February, with the Americans reaching halfway across the runway by sunset. Although the Japanese counterattacked every night, the island was secured by the end of the fourth day. Private First Class N. E. Carling stands beside the American M4 Sherman medium tank “Killer” on which is mounted a knocked-out Japanese Type 94 tankette / light tank. Taken 2nd February, 1944. 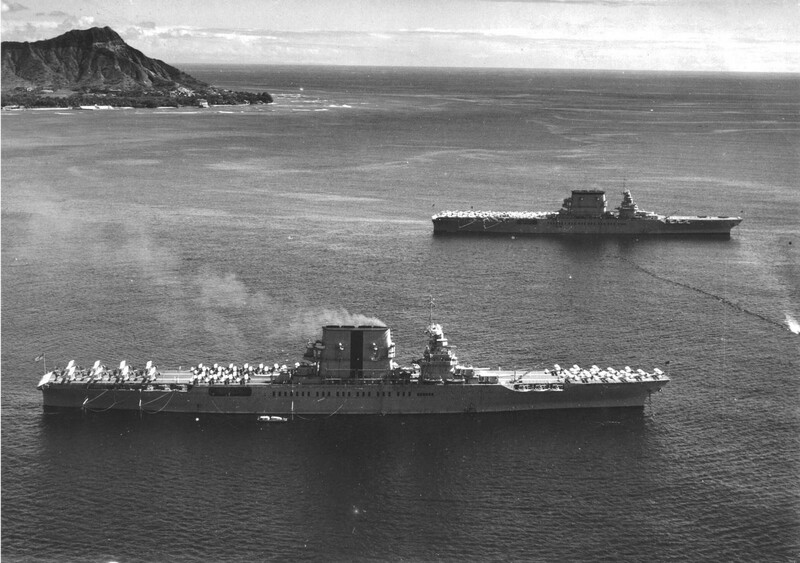 Should perhaps rename this series ‘ This Day in Carrier History…’ This is the USS Saratoga (foreground) and USS Lexington behind (the only two ‘Lexington class Carriers) off Honolulu, Hawaii, with Diamond Head in the background, 2nd February, 1934. Airmen of US 74th Fighter Squadron posing in front of a P-40 Warhawk fighter, China, 2nd February, 1943. The 74th were one of the original three 23d Fighter Group that transitioned from 1st American Volunteer Group (AVG) of the Chinese Air Force when the AVG was disbanded. Some members of the AVG joined or rejoined the United States Air Force. 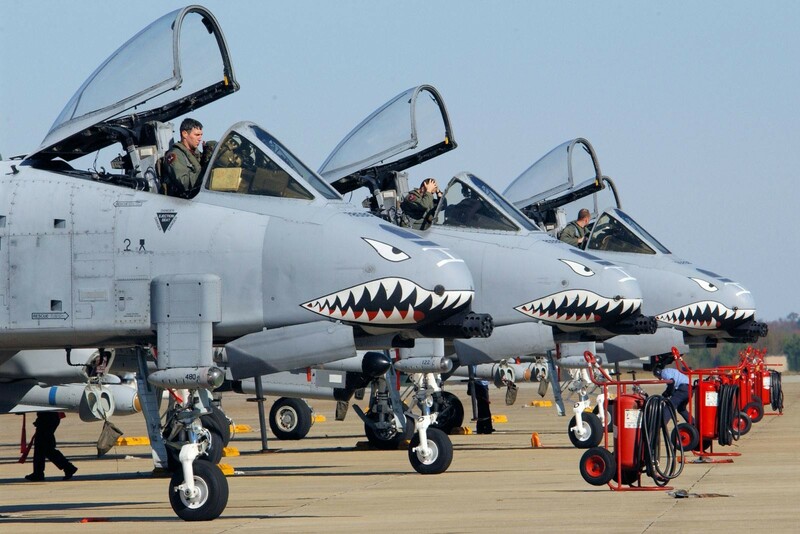 The ‘Flying Tigers’ insignia was designed by cartoonists at Walt Disney. 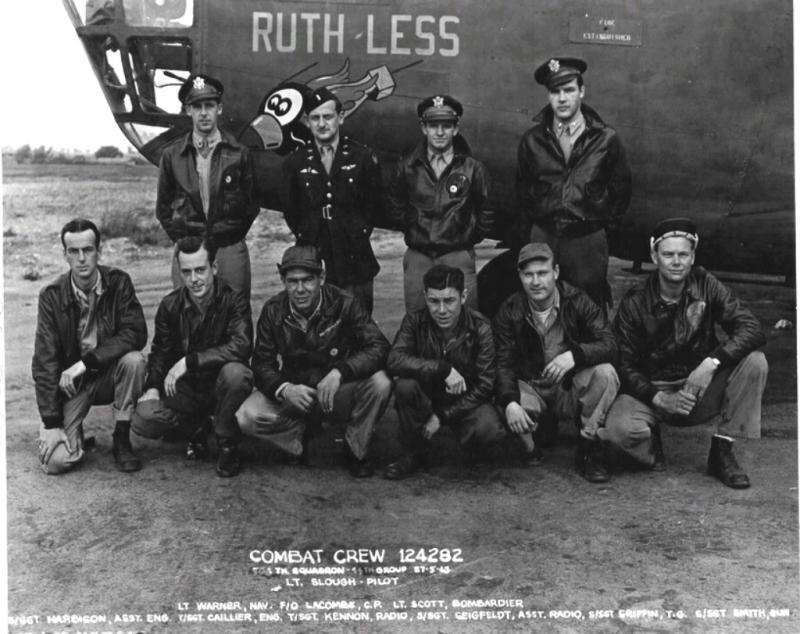 The 74th was one of the original squadrons in the 23d to see combat action in the Far East. The Fighter Group used P-40 Warhawks, and later P-51 Mustangs, to covering massive operational areas and widely varying tactics and combat roles. The area of operation extended beyond China into Burma, Vietnam, and Formosa. The fighter group excelled in these roles and received the Distinguished Unit Citation for its exceptional performance during the war. 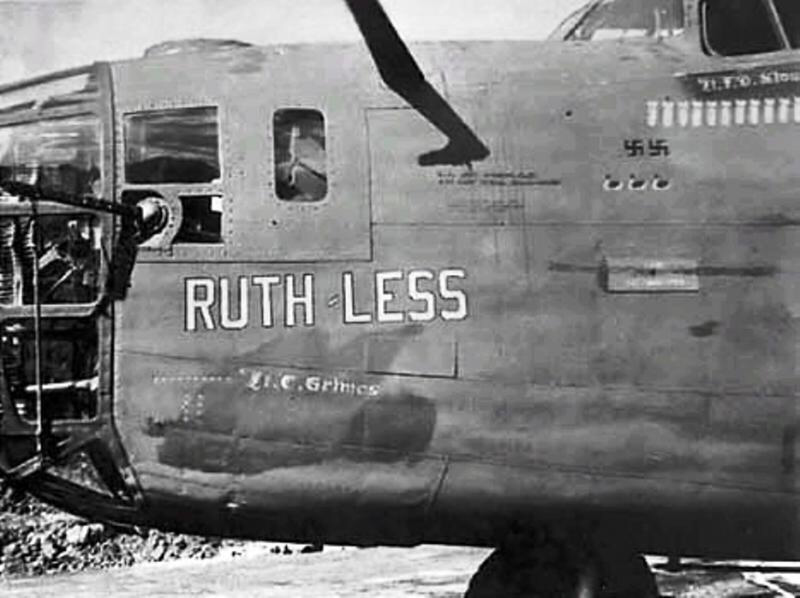 The ‘Ruth-less’ was heading home on 2nd February, 1943 from a V-1 factory bombing mission (it developed engine trouble and turned home before reaching the target) when the engines cut out, and the aircraft hit a high hill, with the loss of all crew. Below seen landing in his F4F. Owen was lost just a few weeks after the Corsair photo, in May of ‘45. He was awarded the Distinguished Flying Cross with two gold stars, the Air Medal with three gold stars, a Presidential Unit Citation, and a Purple Heart. His name is cited on the ‘Tablets of the Missing’ in Honolulu. Thanks again, for doing this. Before the war, for I.D purposes the Sara had a vertical stripe on its stack while the Lex’s I.D. was a horizontal stripe on the top of its funnel. For a good part of her career, Sara. 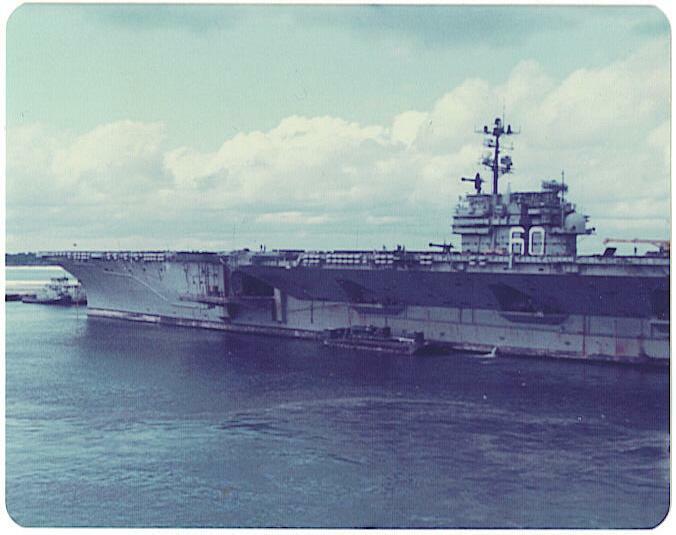 CV-60 carried a similar stripe. Thanks, Robert, love these little nuggets of data. 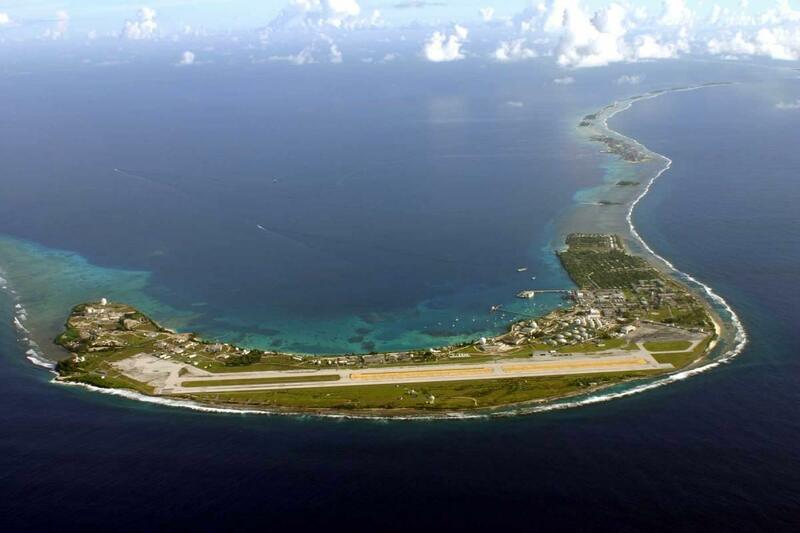 Kwajalein got what was called “the Spruance haircut.” The damage to everything on the island was so extensive that US troops landing on it were unable to use their maps, since nothing on the maps was left to relate to. ‘Spruance haircut’ – just brilliant. David, Another day of interesting stuff. I was wondering about the black and white checker pattern on the back of the GIs in the top picture. What does that represent, as I’ve never seen that before ? Hi Terry. 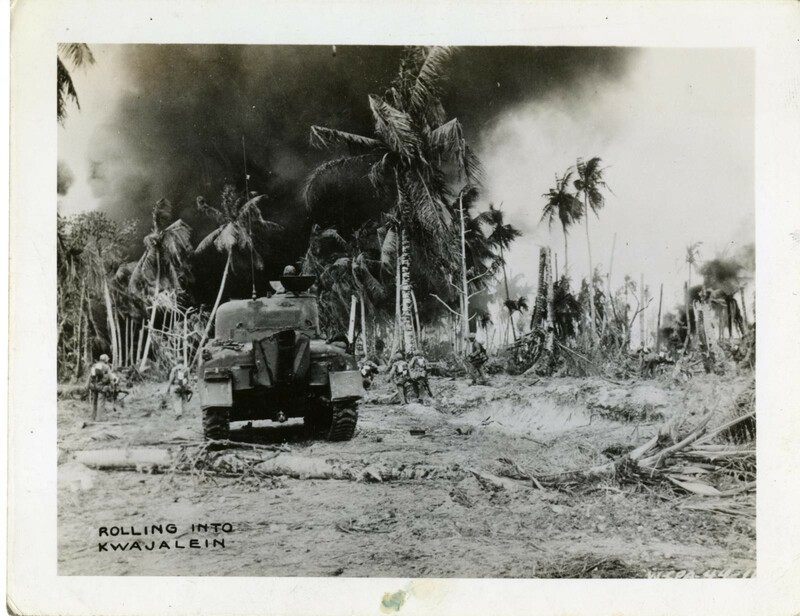 Seems peculiar to the Kwajalein offensive; here’s another photo of the first day’s fighting on land there, you can clearly see the checkered bibs. I know they’re not medics and they’re not press. Maybe after the disaster of Tarawa they used them the same way invasion stripes would be used in D-Day to reduce friendly fire? I wonder how the Corsair got that “Owie” on his port wingtip. (Left, landlubbers – if there are any out there … ) It IS a GREAT photo! I’ve never seen the black checker pattern on the back of ground troops. REALLY odd. There are less complicated ways of “Friend or Foe” identification than black & white squares painted on some poor Grunt’s back! (As well as some of his Buddies/Mates !!) As if he didn’t feel like he had a bullseye painted on himself already, some times !! !